100% polyester. 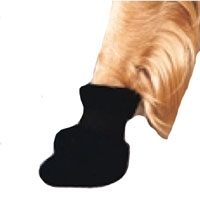 Soft fleece boots secure with easy on and off strap. Non-skip PVC soles. Machine wash in cold water, air dry.